With Dabble, you don't need to go hunting for a support page, email address, or phone number when you need help. 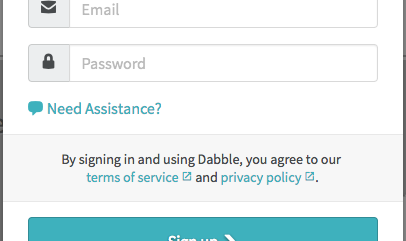 You can request help from directly inside Dabble itself or anywhere on Dabble's website or help site. 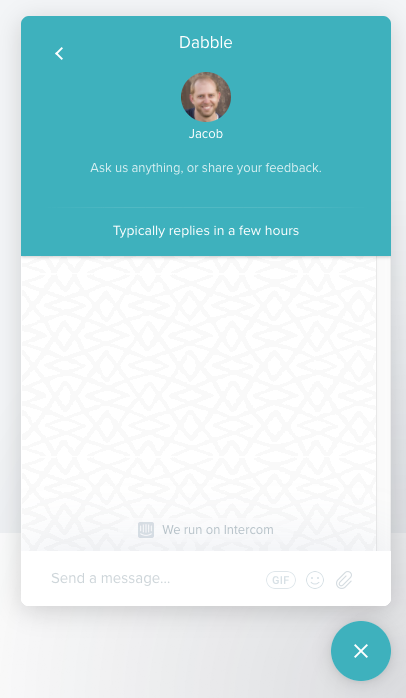 Once you click on it, a chat box opens up for you to ask your question. If we are online, we will answer you in the chat. If we are offline or heads down building the next great Dabble feature, the reply will be sent to you via email. To request help or let us know your big feature ideas or requests, you can use the menu in the upper right-hand side of the application. 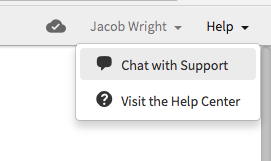 Just click on Chat with Support and you'll get the same chat window shown above. We opted to not display the chat button all the time since we want you to be able to focus on your novel and not have that blue button always hovering in your peripheral. You can even get help before signing in from the Sign Up or Login screen. Just click the link "Need Assistance?" and the chat window will open for any questions you have.